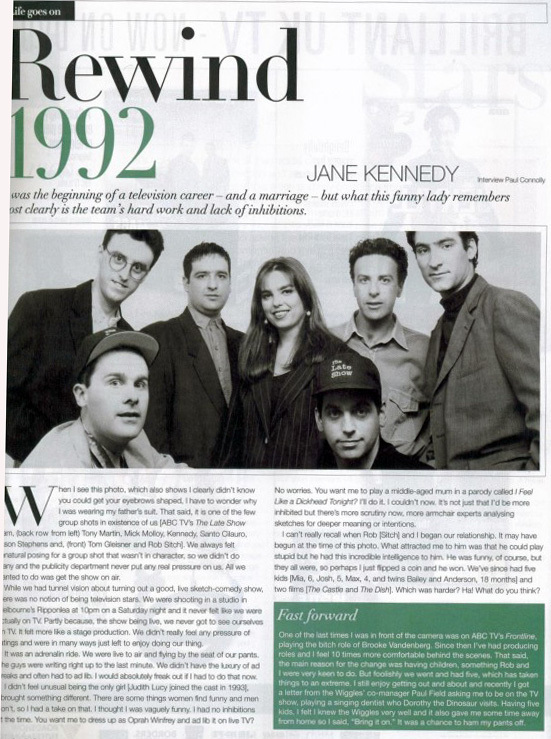 Thanks to menagers for scanning the magazine article 13 schoolyards pointed out featuring Jane Kennedy, former Late Show cast member, looking back on the good old year of 1992. Jane also discusses (ooh, err!) meeting Rob!